I hope you had a wonderful start in the week. Mine was really great but then I came home to see the reports about refugee crisis in Europe. It is so heart breaking. To inform those of you who are on the other side of the ocean, here it is one of the most important topics at the moment in Europe. I am hoping that there is soon going to be some sort of solution to offer to the people who suffered so much. I was thinking why doesn't the States offer help with this crisis and get some of the people? After seeing the news, it feels like it is wrong to write a perfume review but this is what this blog is about after all. We all need pretty things in life to take a deep breath and freshen up our minds. This Fall Narcissi Rodriguez brings out a new perfume for his fans. 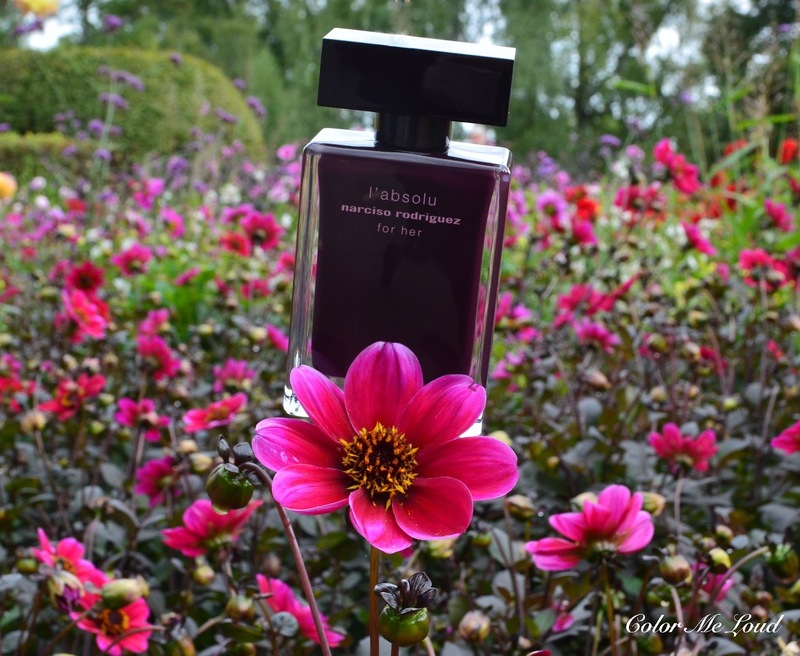 Here are my thoughts about Narciso Rodriguez L'Absolu For Her Eau de Parfum. Narciso Rodriguez L'Absolu For Her Eau de Parfum is a white floral take on Narciso Rodriguez' perfumes musky at heart theme. It opens up with a whiff of jasmine and tuberose in a fresh way. 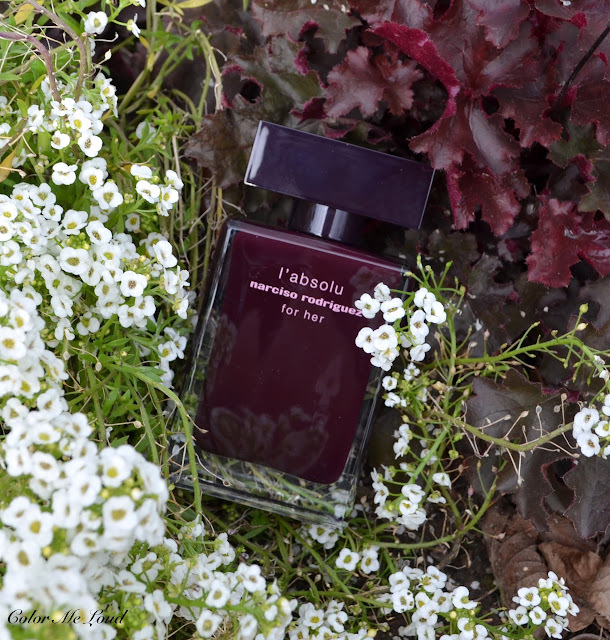 Tuberose is a note which might become too heavy but such is not the case for L'Absolu For Her. There is a certain warmth to this version. It is less dry in opening and more welcoming and less edgy once compared to Narciso (reviewed EdP here, EdT here). I also find the musky heart is less sweet, more understated than both Narciso and Narciso Rodriguez For Her. The dry down is more ambery and woody but in a soft and pleasant way. To me L'Absolu For Her version is the warmest, least sweet and least edgy of the three. For me it is a very pretty perfume to spray on a rainy Fall day and enjoy sniffing my wrist from time to time as I drive to work. It is office friendly and casually chic. It lasts about 5 hours on me, which is a little less than Narciso EdP and Narciso Rodriguez For Her EdP. Final thoughts: The last version of Narciso Rodriguez' For Her line, L'Absolu For Her Eau de Parfum, offers a soft & warm floral with the signature musky heart which beats a little less sweeter and more woody, even slightly ambery. It is a very pleasant, office-friendly and uplifting fragrance for Fall through Winter. Have you tried any of Narciso Rodriguez perfumes? Which one is your favorite? It is admirable that Germany is taking so many in at this moment. Like you said, other countries should do more. France and Sweden should do more not to mention the States. The thing is though, the current Obama administration hesitates to action because they have south american border surge people to deal with, which is more directly going to impact on the next election. It is a pity to think about it. 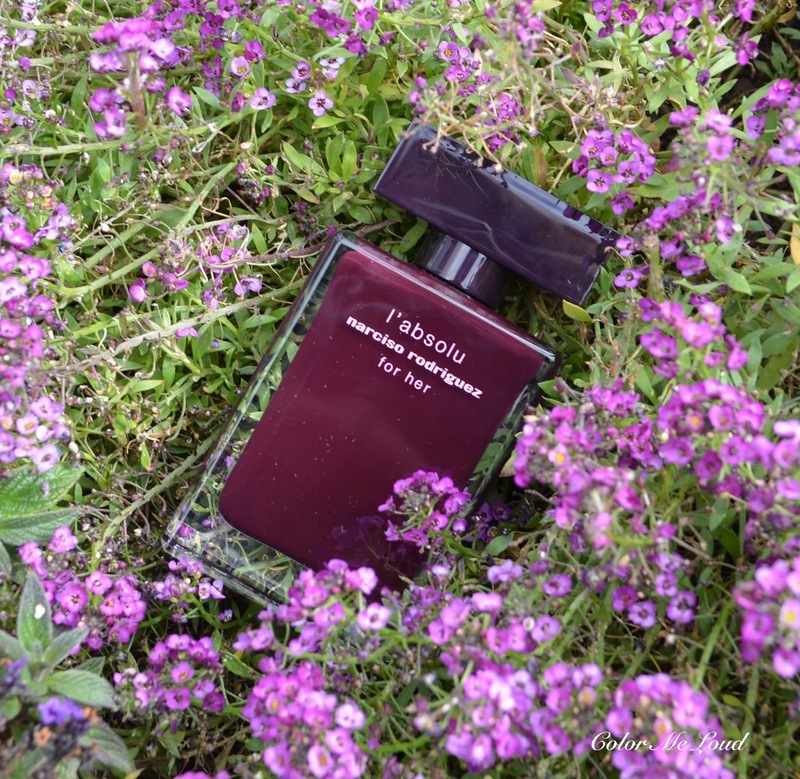 after reading your thoughts, I think you might like L'Absolu. I hope that the people can find a place to live. It is terrible to leave everything behind and being pushed away by other people, so heart breaking. I like it , but it does not have longlasting smell. It’s have been my favorite perfume for almost 5 years now. I get a lot of compliments when I wear it. People tell that I smell “very clean” and they want to hug me because of my my smell LOL!. I also noticed that people lean towards me when I talk to them just to sniff my smell. I absolutely love it and have no intention to change it anytime soon.